VPNE Parking Solutions LLC (VPNE) was awarded a 2010 Family Business Award by the Family Business Association (FBA). VPNE was selected from over 400 nominations and won the award for First Generation Business. 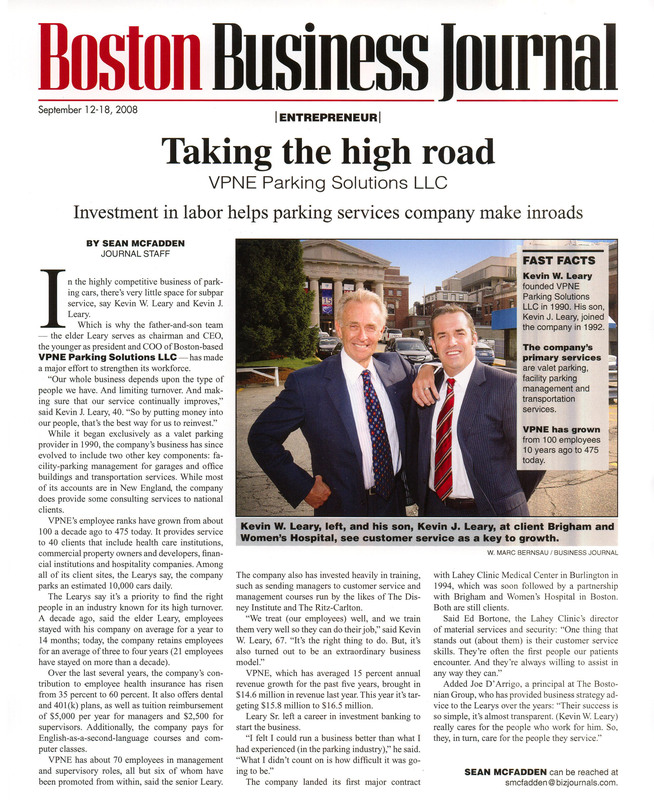 VPNE Parking Solutions is the parking and transportation business partner to New England’s most prestigious retail and mixed use property owners/managers and developers, Class A office, hotels, hospitality companies, and healthcare institutions. This website and its content is copyright of VPNE Parking Solutions LLC © .